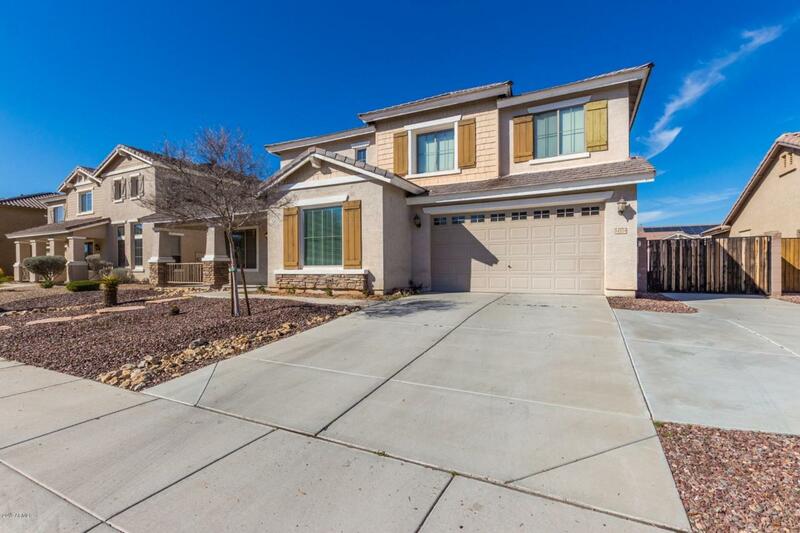 Come see this beautiful home in the Royal Ranch community of Surprise. 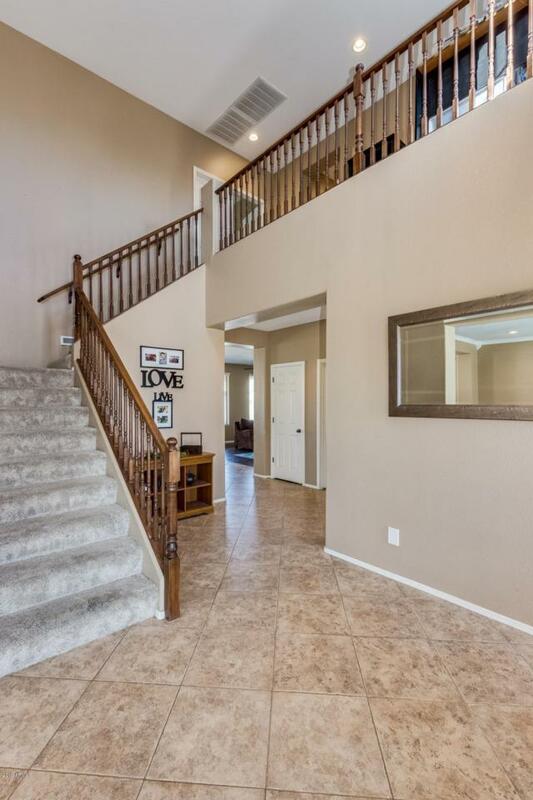 With a front porch entry and spacious open floor plan, you are sure to fall in love. The bottom floor is lined with 18'' tile and wood flooring. It includes a spacious bedroom/den with a full bathroom next door. Kitchen with granite counter tops, a center island, s.s. appliances, walk-in pantry and a dining area. 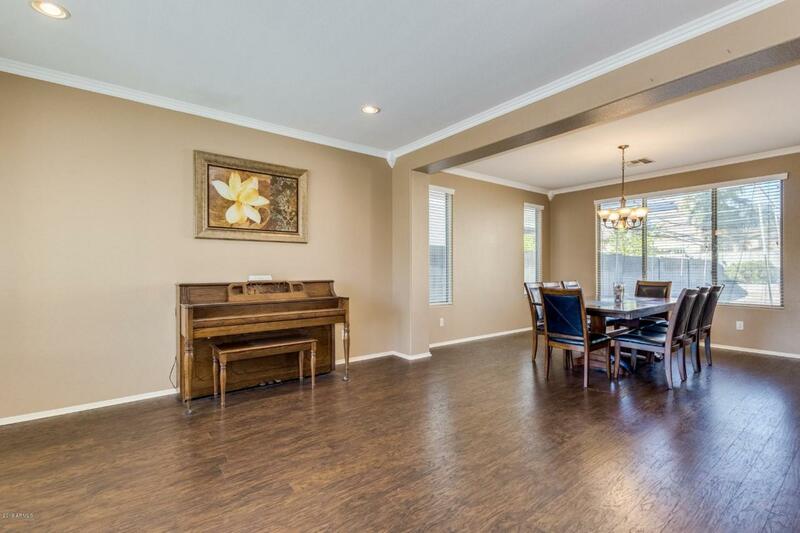 Along with two large living areas for dining and entertaining your guest. Upstairs includes a charming loft area, four generous size bedrooms with ample closets & two full baths. 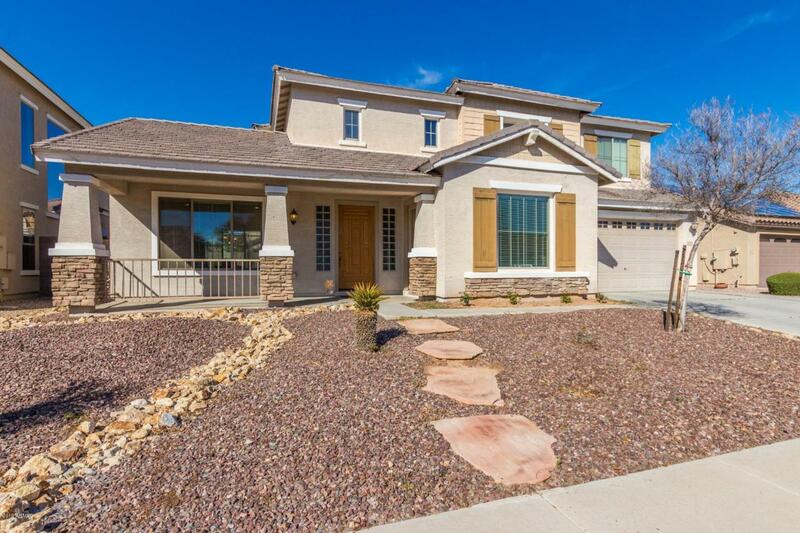 Grand master retreat boasts private balcony, stand up shower, a relaxing tub & a walk-in closet. The large backyard with covered patio is perfect for entertaining. Backyard also contains a full size concrete slab behind the RV gate.